Looks: All of the nugs on this strain are very small but i am told there are usually a lot of them on one plant. They are small but extremely dense. 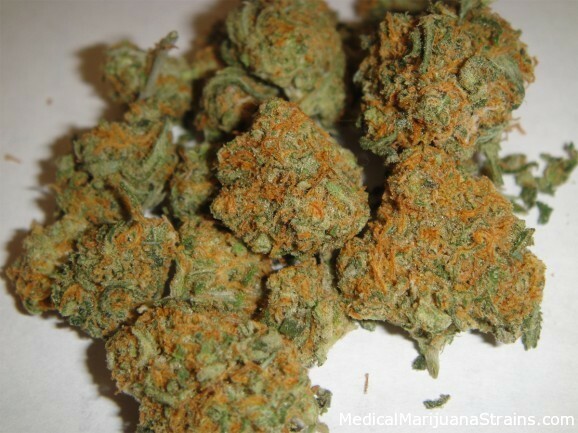 Bright orange hairs cover the nug completely with very few but large crystals. Each nug looks like Parmesan cheese was sprinkled on it. The nug is a dark green. Smell: The smell is identical to bleach and quite honestly thats all thats there is just a reaking ammonia like smell. Taste: The taste is complex with flavors ranging from sour to earthy, and vanilla like mixed with a skunky bleach like taste. The taste is very strong in the beginning and when you exhale there is a harsh lack of taste that makes you want to cough. Effects: This one is a creeper. The initial hit lack in feeling but a couple more then i began to feel extremely creative. This sativa is probably the purest i have felt in awhile, It was very up and motivating, and it really made you concentrate on any task at hand. I usually like Indicas more but i love this strain because it helps pain without couchlocking but also not too light so you didn’t feel it.